Beatrice.com: What Connects You to the 1860s? 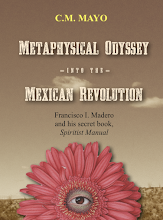 My novel is based on the true, strange, and heart-breaking story of, as the title says, “The Last Prince of the Mexican Empire.” If you’ve never heard of Mexico’s little half-American prince, not to worry: even many beautifully educated Mexicans have not. Mexico’s 19th-century history is, to make an understatement, labyrinthically labyrinthical. 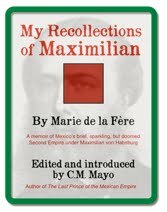 (I like to say, if you’ve heard of Santa Anna and you know that Cinco de Mayo is not Mexico’s Independence Day, you’re doing OK.) Many Mexicans would prefer not to dwell on the Second Empire of Maximilian, a period also known as the French Intervention. Royalty, foreign invasion: not an appetizing combination for many. 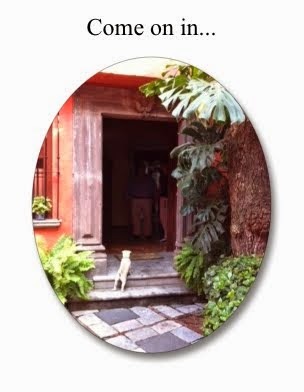 Furthermore, when I came upon the story of Mexico’s last prince, and began to read more deeply, I soon realized that the little that had been published about him was riddled with errors and a mystifying vagueness. And so began my plunge into nearly a decade of research in archives from Mexico to Vienna to Texas and Washington, D.C. The Last Prince of the Mexican Empire came out in hardcover last year; this May 5th marks the publication of the paperback edition (and yes, a Spanish version comes out this fall). One of the most surprising and delightful things about traveling around the U.S. and Mexico promoting it has been hearing the stories other people tell me about their connections to this time. When, in a Barnes and Noble in Bethesda, Maryland, I read the scene where the prince’s mother attends the ball in Mexico City’s Imperial Palace, one of the members of the audience put on such a wide-eyed expression, I almost stopped reading. Afterwards, with great emotion, she told me that when she was little, she had played with her great-great-great-grandmother’s ball gown—she had been told it had been worn at Maximilian’s ball in the Imperial Palace. Perhaps that very same ball. From Guanajuato, Mexico, a reader wrote to me about Maximilian’s crystal flute—a rare German flute still being played today, by an acquaintance, member of the symphony orchestra in that city. After a book group luncheon in Austin, a Mexican lady showed me a slender bracelet that had belonged to the Empress Carlota. It was black and gold, as elegantly severe as Carlota herself. Its small heart-shaped black locket with a gold cross had been Carlota’s mother’s. The clasp was broken. There the little locket lay, shining in the Texas afternoon, on the open palm of her hand. A Mexican consul in Texas, with great fierceness and pride, told me that his ancestor, a Juarista, had fought against Maximilian and the French. Here in 2010, as we’re facebooking and tweeting and skyping, wearing jeans and T-shirts, spooning up microwaved whatnots as we watch news of, say, President Obama or President Calderon, it might seem the world of crinolines and kings (and I mean the kind that actually wielded some power, not just provided fodder for People magazine) has nothing, not a thing, to do with our world. But these anecdotes, these relics—- a gown, a bracelet, a flute—- remind that, perhaps, however blindly, we are all more closely connected to this time than we realize. Near Washington DC, a reader with a German name told me that her ancestor, inspired by Maximilian, had immigrated to Mexico during the Second Empire, to farm in Yucatan. Things didn’t work out; he soon made his way to Ohio. Who would have guessed? I myself had a surprise last year when I learned that my own great-grandmother, whom I remember from when I was a little girl, had grown up in the house of her uncle, William Wirt Calkins. Calkins did not have anything to do with Maximilian, but he was, like Maximilian, a dedicated botanist. Calkins was also a veteran of the U.S. Civil War and author of one of its most important histories: The History of the 104th Illinois. Oh, would that I had known and could have asked her about him! But we can find vivid connections to the past in more ways than these. Here’s a mind-stretcher of an exercise: imagine that from your birthday, time runs backwards—where do you end up? I was born in 1961, which makes me 49. Forty-nine years into the past would take us to the year 1912. In that year, the prince, Agustin de Iturbide y Green, only a toddler when the Emperor Maximilian took him into his Court, is now my same age! (Living in Washington, D.C., and teaching French and Spanish at Georgetown, by the way.) Mexico, lately ruled by the iron fist of Porfirio Diaz, a general who fought against Maximilian, has just begun to convulse in what will be a decade of Revolution. The Empress Carlota is still alive, too, mad as a mushroom, locked away in a castle in Belgium. Had Maximilian survived, he would have been 80 years old. (Imagine the splendid copper-red beard grown out as white as Santa Claus’s.) Maximilian’s older brother, Franz Joseph, is still Kaiser of the Austro-Hungarian Empire World War I has yet to shatter. It all seems so long ago and yet, it is a heartbeat away. Today's New York Times has an interesting article on book trailers. Just the other day I posted a blog on these things, a first attempt to provide a rough taxonomy (read that here). And today I had lunch with a writer friend who has a book coming out this fall: trailers, trailers, trailers, that took up about 50% of the conversation. For shy authors, may I suggest a "TPA" (see category #2). Most authors opt for "Author Stars" (category #4); and in many cases, this is not, alas, an optimal strategy. 3. When and where you can buy it. Been saving these up for a while. 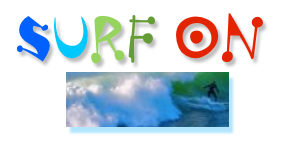 Surf on! A thank you note a day by Leigh Dietrich. Mind taffy. Serenity-inducing. Check out his blog post on the sleep experiment. By Simon Johnson, author of 13 Bankers. Eclectic. Surf around in there for a while. Always interesting. Visual candy from a DC writer. Josh Burker's Blog of MusingsHe's into vintage software, which really crosses my eyes. Some fascinating links in there. 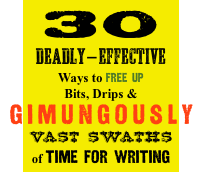 Chicano-Chilango (yes, they do exist) writer and blogger. Dining out in Mexico City. All thumbs up! Seriously, I really appreciate this blog, and I own the book in both English and Spanish. Here's the writeup in the Maryland Gazette. I'll be participating in a panel discussion about the writing life this Saturday at noon at the Writer's Center. More anon. Library of Congress lecture on the research in the Iturbide Family, Emperor Agustin de Iturbide, and Kaiser Maximilian von Mexiko archives for the novel based on the true story, The Last Prince of the Mexican Empire. Historical Society of Washington DC lecture on research for the novel The Last Prince of the Mexican Empire, with special emphasis on the Forrest and Green families and the historic country estate, Rosedale. More podcasts to come on this research, as well as craft of creative writing lectures and much more. How did I miss this? If you did, too, check it out here. P.S. 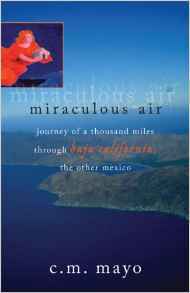 Read my review of his earlier book, True Tales from Another Mexico, here. Comment du jour by Seth Godin re: blogs. Liz, the older sister, is a Farsi translator who travels often to the Middle East, while Angie is a potter married to a professor and has two teenaged children. They are besieged by memories in the house, where their father, a charismatic Unitarian minister, committed suicide. Angie, who was in the house at the time, has not returned in the twenty-eight years since it happened. She suffered a breakdown and Liz worries that her illness could return. 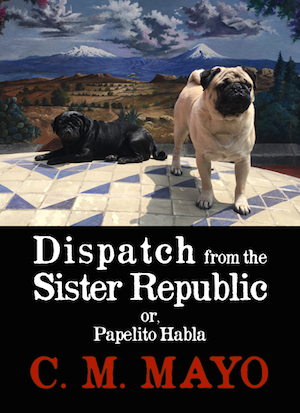 The novel spans the week the sisters are in the house together. Both women evade revealing their current problems: Angie is worried about her daughter, who lives in a commune, and Liz is worried about her marriage, since her husband has threatened divorce. As the week goes on the sisters talk openly and begin to build trust. The crisis comes when the daughter, two hippie friends, and an elderly, judgmental aunt shelter in the house during a storm. The parallel story concerns the father’s decline during World War ll and its affect on the sisters. As a pacifist, he anguishes over the horrors of the war, has an affair, and is voted out of his church. Deeply depressed by the death of his son, who is killed in action, by his wife’s death from cancer, and by the news of Hiroshima, he takes his life. The sisters confront this event together finally in the place where it happened, and although their own problems remain unsolved, they feel a new love and support for each other. Ann McLaughlin grew up in Cambridge., MA and graduated from Radcliffe College in 1952. She received her Ph.D. in Literature and Philosophy from American University in 1978. She has taught for twenty-five years at The Writer’s Center in Bethesda, MD, where she is on the board. This book is available from the publisher, Unbridled Books, as well as all major on-line booksellers and fine bookstores throughout the United States, Canada, and also many English-language bookstores in Mexico. If you don't see it on the shelf, any bookstore can order it for you. ORDER HERE. 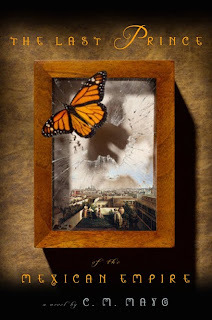 Forthcoming in Spanish this fall with Random House-Mondadori as EL ULTIMO PRINCIPE DEL IMPERIO MEXICANO, translated by Mexican poet and novelist Agustin Cadena. Want news? Click here for more information about my mailing list. In a little over two weeks the first ever Compleat Biographer Conference will open at the University of Massachusetts Boston. Sponsored by the new Biographers International Organization (BIO), it will feature at least six Pulitzer and National Book Award prizewinners as well as best-selling authors who are joining other writers, agents, editors, archivists, and librarians in workshops and panels geared to the practical aspects of the craft. The registration deadline is rapidly approaching. Would you take a moment and think of writing friends who should know about this conference and pass on the word. Why blog? After four years of steady blogging, I still get this question almost every day. (OK, I exaggerate. But not much.) What amazes me is the number of people (and interestingly, how all of them are older than Yours Truly) who cannot see the point--- especially if the writer isn't raking in some pile of clams. But must money come into every equation? Madam Mayo thinks not. Seth Godin, whose book, Lynchpin, I'll be blogging about asap, has this recent post about "Santa Math" and, as ever, I refer y'all (as well as clam-oriented others) to Alice's Tulip Analogy. But all that said, do buy my book! 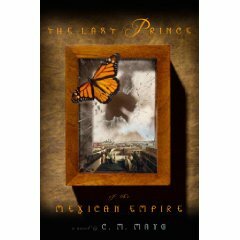 The Last Prince of the Mexican Empire is out in paperback, officially, tomorrow. More anon. Be sure to read his article about the Gulf of Mexico oil spill. that comes to my blog from this site. Fascinating and "Cool Stuff," "real estate ready." (who also has a very amusing website). worked on some of Tameme's beautiful covers.